It's a gross subject, but somebody had to cover it. Are you plagued with toenail fungus? Looking for a more natural way to get rid of it? I've suffered from toenail fungus for years. I've tried several different ways to get rid of it, from over the counter fungicide to having my toenails removed. But nothing seemed to work well, and I wanted a more natural way to get rid of it anyway. Finally, I found a few natural methods to try. I could tell a difference within a week. They were definitely working! And now I'd like to share these methods with you. Before you try this method, I need to post a disclaimer. I am not a doctor. I have no medical training whatsoever. Please consult a medical professional before trying my method. This process uses epsom salt and tea tree oil. The warning label on epsom salt reads "Do not use if pregnant or have diabetes, unless advised by a doctor." Tea tree oil is an essential oil. Please do your research and consult a doctor before you use it. I have read that you should test pure oil on a small area of skin to make sure you are not allergic. 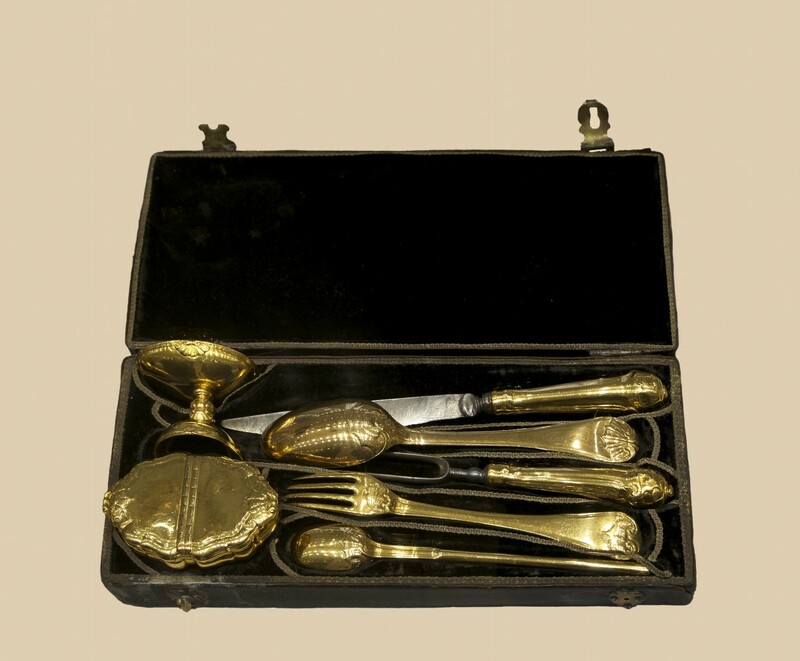 The oil can be diluted by adding it to another oil, such as olive oil. Again, please do you own research and talk to a medical professional. Also, DO NOT INGEST TEA TREE OIL. 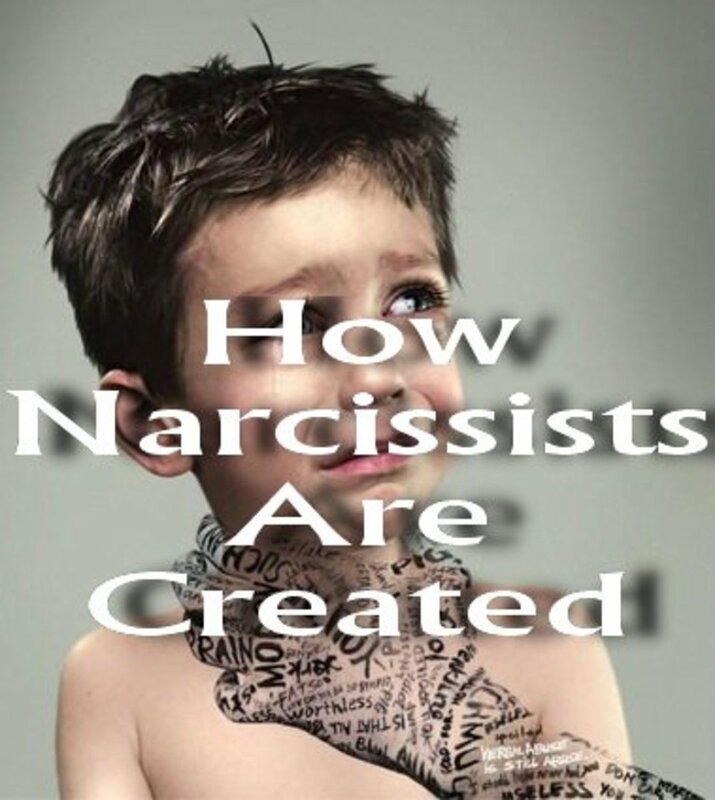 It is poisonous if consumed. So far, I have not had any problem with either of these products. They do dry out your skin. But please, talk to a doctor and do your own research first! You'll want to do this every time before you soak your feet or put oil on your toenails. First, take your toenail clippers and cut the infected nail as far down as you can comfortably go. Make sure you don't use these clippers on any of your healthy nails! Second, file down your nail. I do this on the tip and also the tops of the nails. It helps the salt and oil to get down where they need to go to fight the fungus. Now, wash your hands so you don't transfer the fungus to healthy nails! Soakin' my feets. :) This makes my feet feel amazing! Grab your tub, a towel, and epsom salt. Fill your tub with hot water. When it is cool enough, stick your feet in. 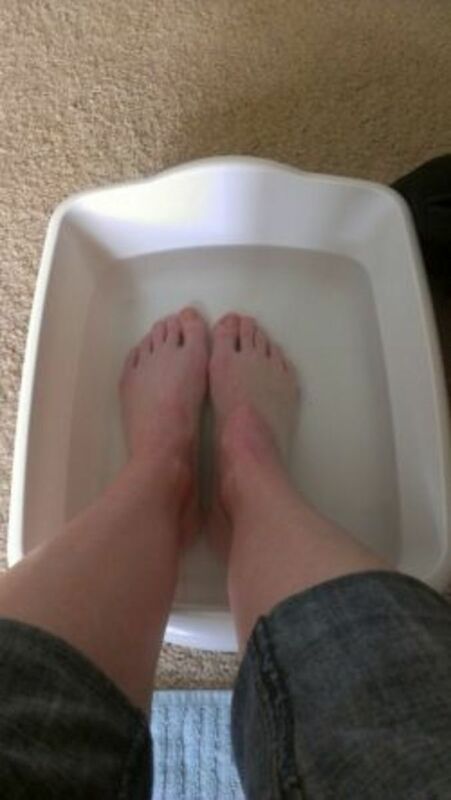 Pour epsom salt directly on top of your infected toes. I don't measure out an exact amount, but I would guess that I put about a half cup in the water. I let the salt sit on my toes for several minutes, then push it around with my feet to make it dissolve in the water. Soak your feet for at least 15 minutes. Grab a cotton ball or swab (one for each infected nail) and your tea tree oil. I use it without diluting it, but please consult a medical professional before you use it. Get a little oil on the cotton ball/swab, and apply directly on top of the nail and also on the skin surrounding the nail. Please test the oil on a small spot on your skin first to make sure you don't have a reaction to it. Do not consume the oil, or let your pets lick your toes once you've applied the oil. 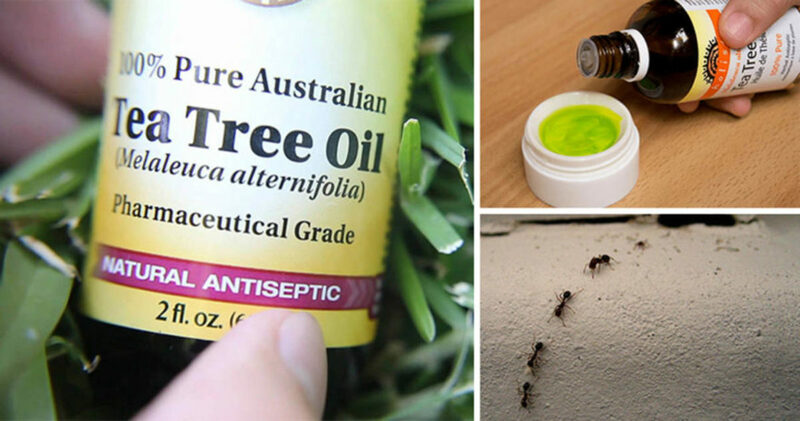 Tea tree oil is poisonous when ingested! I recommend doing a foot soak once or twice a day. I also put the oil on right before I go to work and before I go to bed. Tea tree oil leaves white residue on my toes, so I don't put it on if I'm going to wear shoes that show my toes. 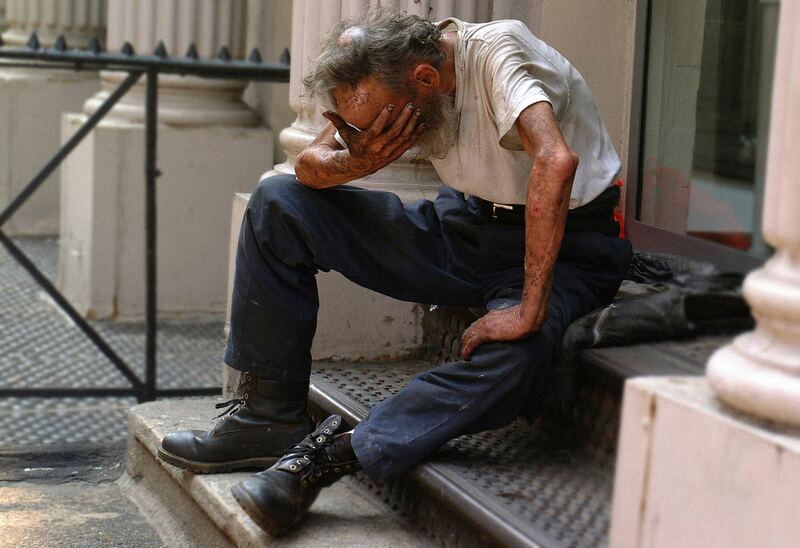 I know life gets in the way and you can't always sit down for thirty or more minutes a day to soak your feet. When I get busy, I soak my feet when I can and make sure I use tea tree oil on days I can't get a foot soak in. First of all, have patience. This method takes time. I did start to notice my nails changing about a week or so after I started, but it will be months before your nails start to look normal again. I have two infected nails. I started doing this in April of 2012, and one of my nails is starting to grow in normal now in September of 2012. My other infected nail has not shown much of a difference (it's getting better, just not as quickly as the other one). Your results will vary depending on the severity of the infection. Second, keep your feet bare as much as possible. Fungus thrives in dark, damp places. Keeping your toes out of socks and shoes as much as possible will help this process go faster. What I do is wear ballet flats or Toms to work without socks, so I can quickly slip my feet in and out of my shoes as needed. Also try to sleep with your feet out from under the blankets. If you must wear socks, try to change into a fresh pair of socks about halfway through the day. If you use a public pool or shower, wear flip flops. Check out the "Great Stuff On Amazon" list below. I found the best deal on oil and epsom salt on Amazon.com and placed it there for you. You can find everything you need at Wal-Mart. I found the tea tree oil by the vitamins. The epsom salt was a little harder for me to find. It's also used to relieve constipation, so you can find it by other stuff that relieves constipation. They sell fancy epsom salt too, that has lavender or spearmint or whatever added to it. I have used one that had spearmint and eucalyptus, and it works well too. But just plain ol' epsom salt is cheaper and does the trick. For a tub, I just got a small plastic tub that you can wash dishes in. It works splendidly. Check out this website for more treatment options for nail fungus! p.s. I will post a picture as soon as possible. I'll start taking pictures of my left toenail's progress too, so you can see how well it works. I took a picture of my toes today (and will try to take one every month or so), so you can see for yourself how well this works. 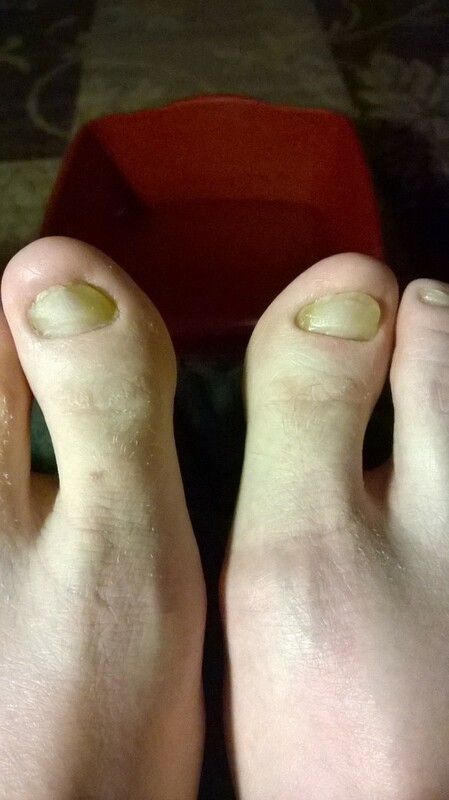 Both of my big toes had fungus when I started this method almost a year ago (I told you it takes awhile). While I haven't been able to soak my feet as often as I would like to, I still soak them when I can. 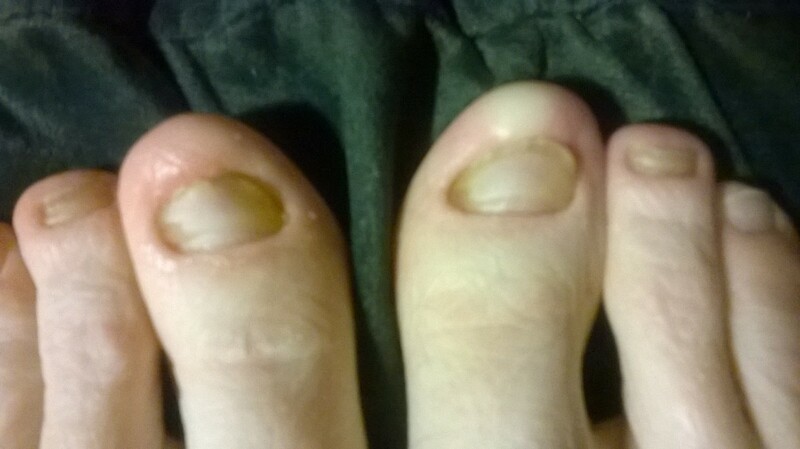 As you can see, my right toenail starting to look almost normal, while my left one is starting to grow in normal at the bottom. I have a new goal to have my toenails looking good in time for my sister's wedding in May. 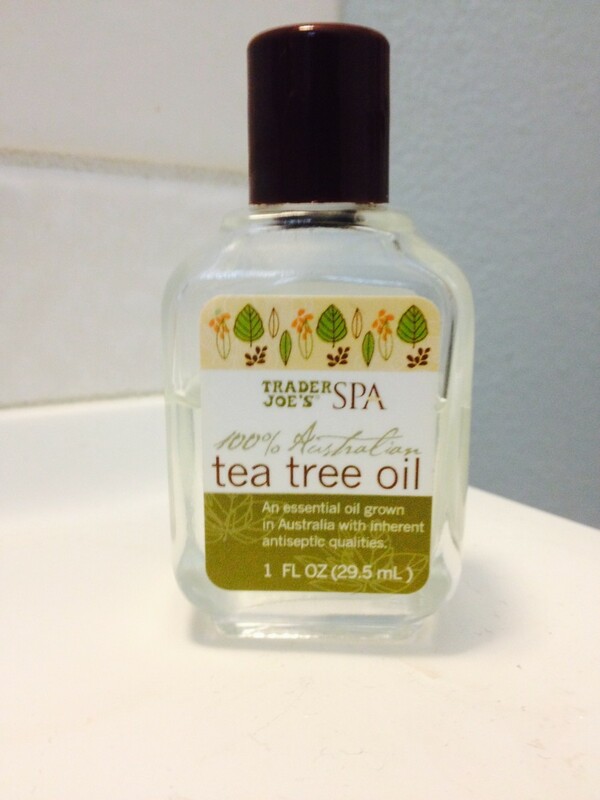 I've been trying hard to soak my feet at least once a day and use the tea tree oil right after. So I have really let myself go, as far as my toenails are concerned. It has been months since I stopped using this method. And I can definitely tell. But one of my new year's resolutions was to soak my feet every single day, and use tea tree oil in the morning and before bed. Compare this picture to the picture in the above module. I did occasionally use just the oil in about the last 6 months or so, but you can see that it's the combination of filing, soaking, and applying the oil that really helps. In other news, I had a stroke of brilliance this morning. My husband and I recently moved across the country, and I have been unpacking my seemingly unending supply of clothes. I came across several pairs of socks that are holey, but that I can't bear to throw out because of sentimental value (most of them were gifts). 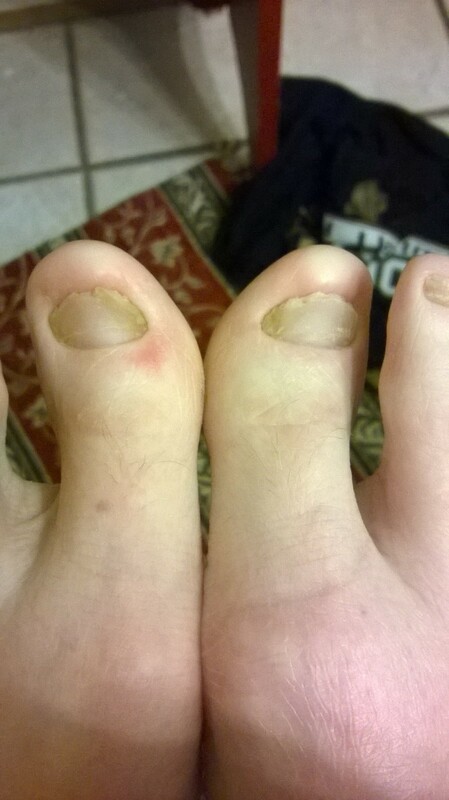 I hope your toe fungus journey has been going better than mine. Keep at it. It really does work as long as you don't get lazy and quit like I did. or, "Why didn't I think of this sooner?" 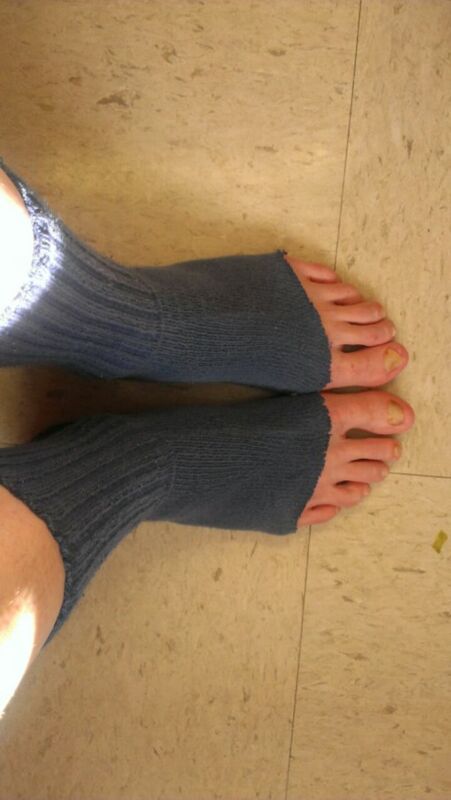 My method of upcycling old socks, keeping my feet warm, and letting my toes air out like they need to. 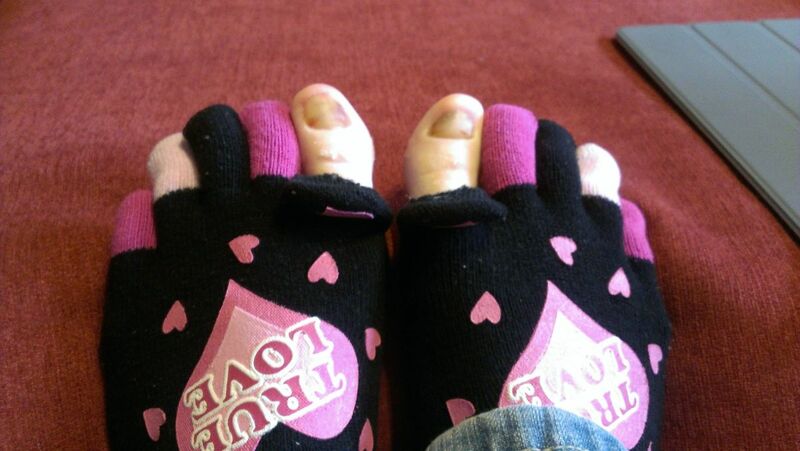 I just cut off the big toe on an old pair of toe socks. 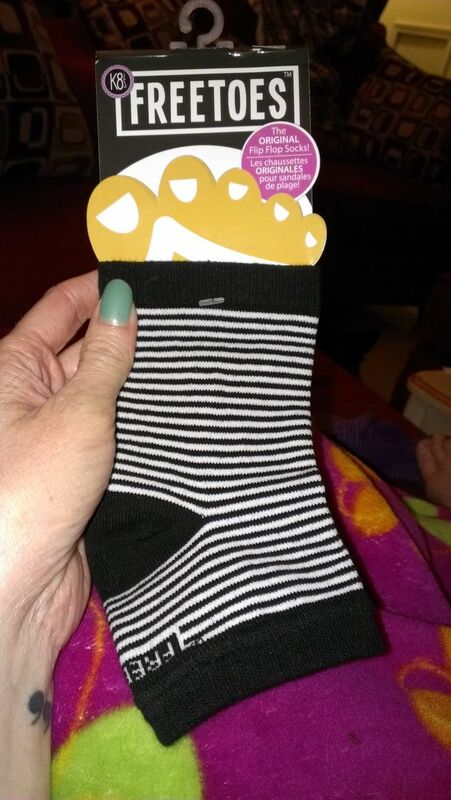 So, apparently, they sell socks like the ones I made above. I found some today at Books A Million, of all places. They are much cuter than my homemade ones. :) I'm also posting them in the Amazon box below for your convenience. Yeah, they're gross. But not as gross as they were. It's been at least two weeks since I restarted this method, and I can already tell a difference. Today I was able to trim half of my toenails away. I know it's super gross, but that means it's working. My nails are already clearer than they were two weeks ago. I have been doing the foot soak twice a day and have been applying the tea tree oil at least once a day. I file or trim my nails once a day, before one of my soaks. This is the epsom salt I use. It smells amazing. My feet smell good all day after I use it. This is what I use to soak my feet in. It's cheap and is the perfect size for my needs. The grippy part will help keep the socks in place and your feet warm. Also they're super cute. April 20, 2014. The bottom part of the nails on my big toes are starting to look normal and the rest of the nails are starting to turn clear. April 26, 2014. I am so excited about my progress! I see more new, clear nails growing underneath the fungus ones. Yay! May 1, 2014. You guys! I see more and more clear nails coming in, and I am so stoked. You have no idea how happy this makes me! A very useful article given regarding the fungal infection which occur on nail and how to take care of it from further infection.